I am SUCH a bad book reviewer! I have been swamped with last minute assignments for school, but good news is…I graduate in less than a week! So frakkin excited. But on to more important news, like what am I reading?! 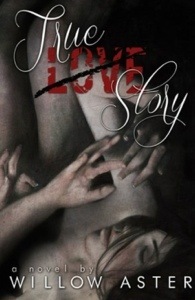 I’m still finishing True Love Story by Willow Aster. I hope to be done tonight or tomorrow. And I’m also starting a new ARC kindly provided to me by Netgalley. Come Undone by Jessica Hawkins.